Ground zero for a nuclear war was just over an hour northeast of Frankfurt, Germany. The small town of Fulda is nestled at the base of a natural gap in the hilly wooded terrain of West Germany and was a corridor between East and West Germany. Referred to as the Fulda Gap, this corridor was very likely the path the Warsaw forces and the Soviet Union would have taken to invade Europe. This was the most logical and practical path for an invasion. History has shown other great military leaders had come to the same conclusion. Napoleon used this very corridor to withdraw westward during the Battle of Nations and General George S. Patton used it to push the Nazis eastward during World War II. 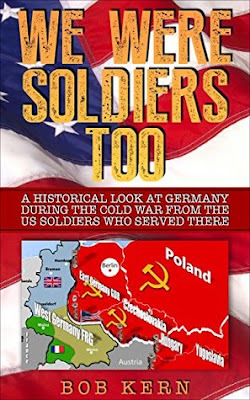 It was the best location, by all accounts, for the Soviets to send their mechanized units through quickly to conquer Frankfurt, the capital and financial center of West Germany and Europe beyond.